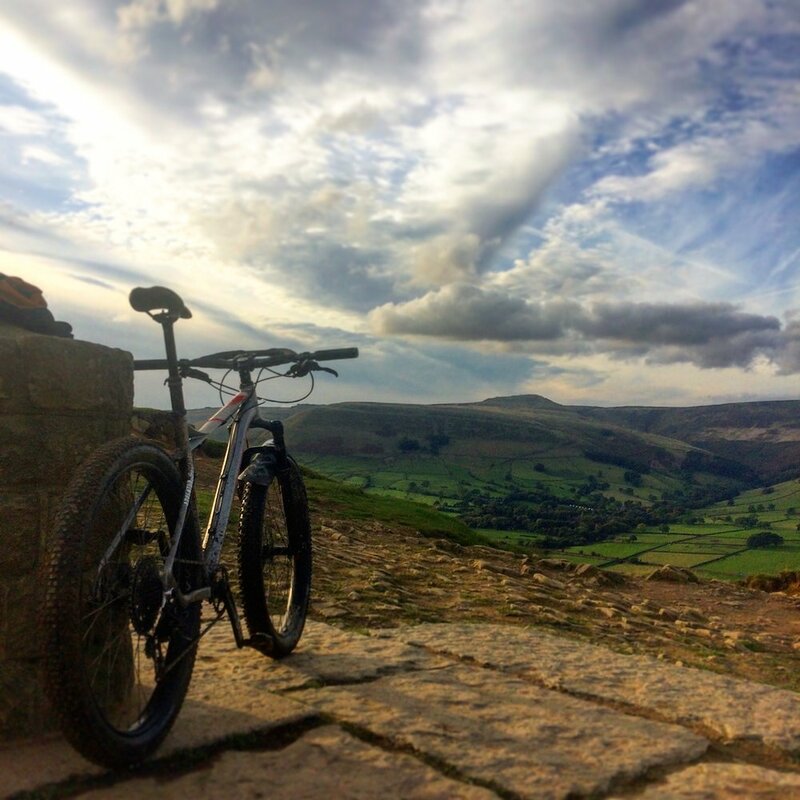 Whether you're coming on one of our adventures or planning your own trip we've got a bike to help you get out and explore the world! 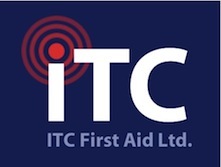 Prices: Start at just £35 per day and can be arranged for either short or long term hire with a discount on prolonged periods. 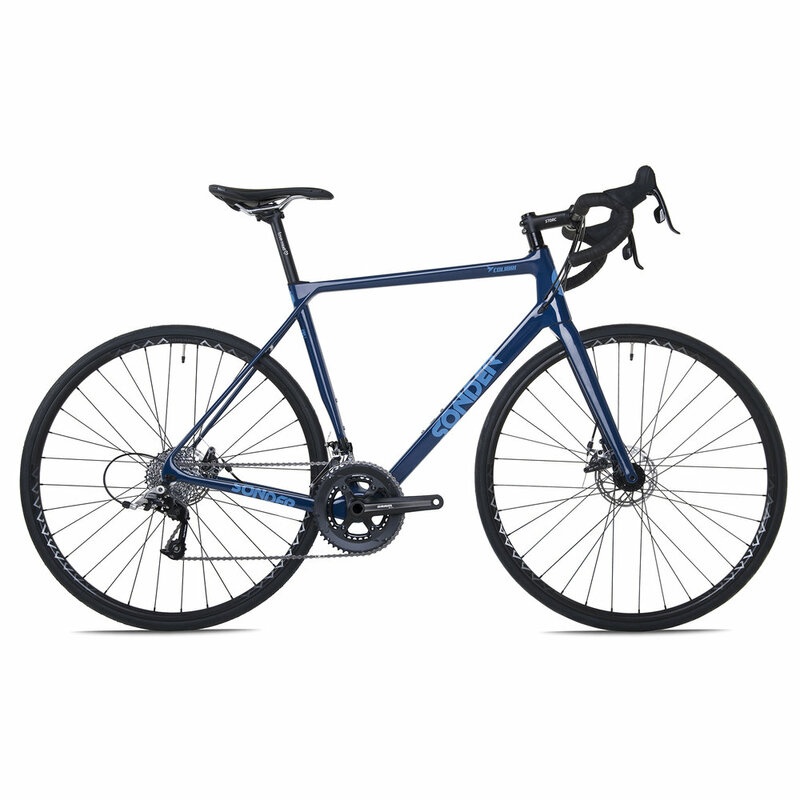 Delivery/Collection: Get expertly set up with your bike at our base for free or we can arrange shipping out to you at an extra cost (dependent on location). 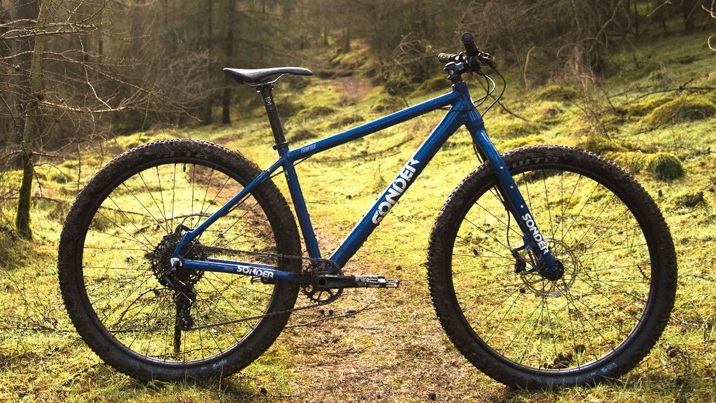 The Frontier is the cornerstone of our adventure bike hire fleet and with good reason; a beautifully simple, light and capable mountain bike that’s just as at home ripping up the trails as it is lugging kit over long distances. 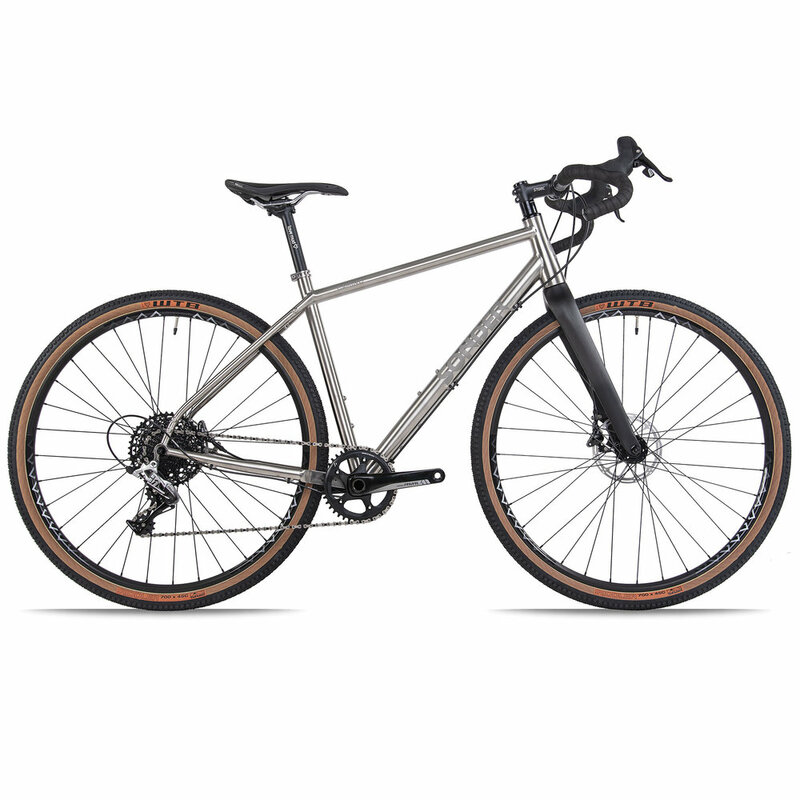 With versatile luggage options and a 29’’ or 27.5+ wheel size choice, we’ll get it set up to suit your adventure. With a suspension fork, dropper seatpost and more trail oriented, confidence inspiring geometry the Transmitter is our tool of choice for more rugged off-road adventures. 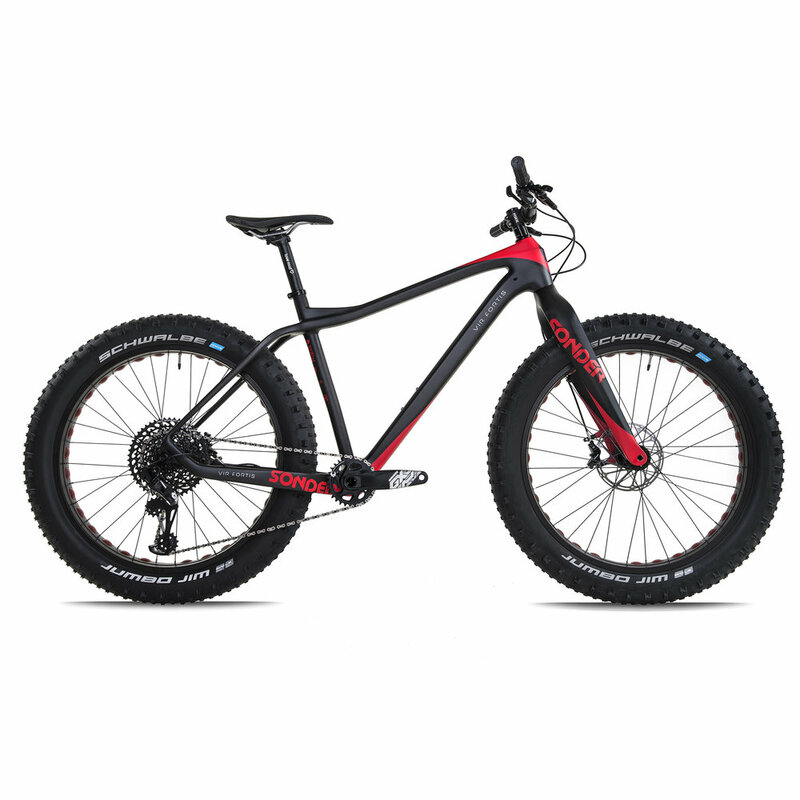 Built for the UK’s big mountains, it’s plus sized tyres give high levels of grip, comfort and confidence on rough terrain making for a truly go-anywhere adventure bike. No matter how long you’ve been riding bikes for, riding a fat bike for the first time can’t help but make you smile. Put simply, they’re a lot fun and they’ll take you to places you’d never have dreamed a bike should (or could) go. 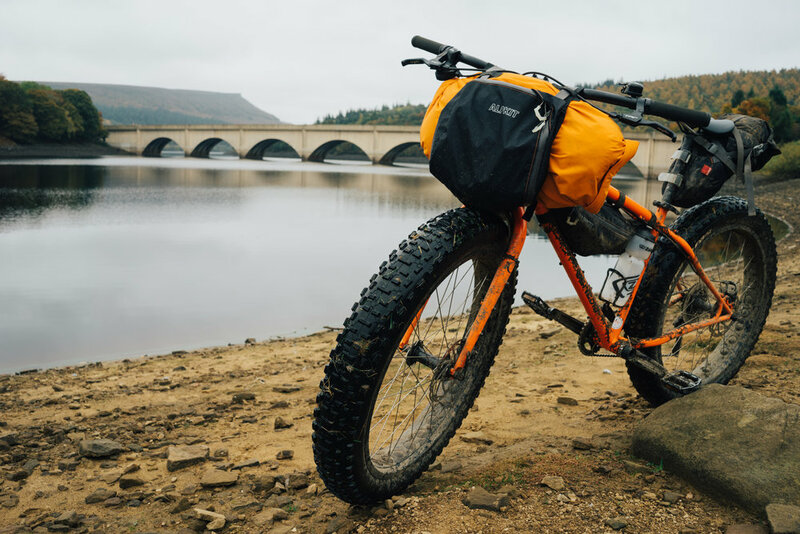 As well as being a novel ride, with a steel frame, 4” tyres and tons of luggage options, our Caribous are the ultimate bike for far-flung wilderness adventures. 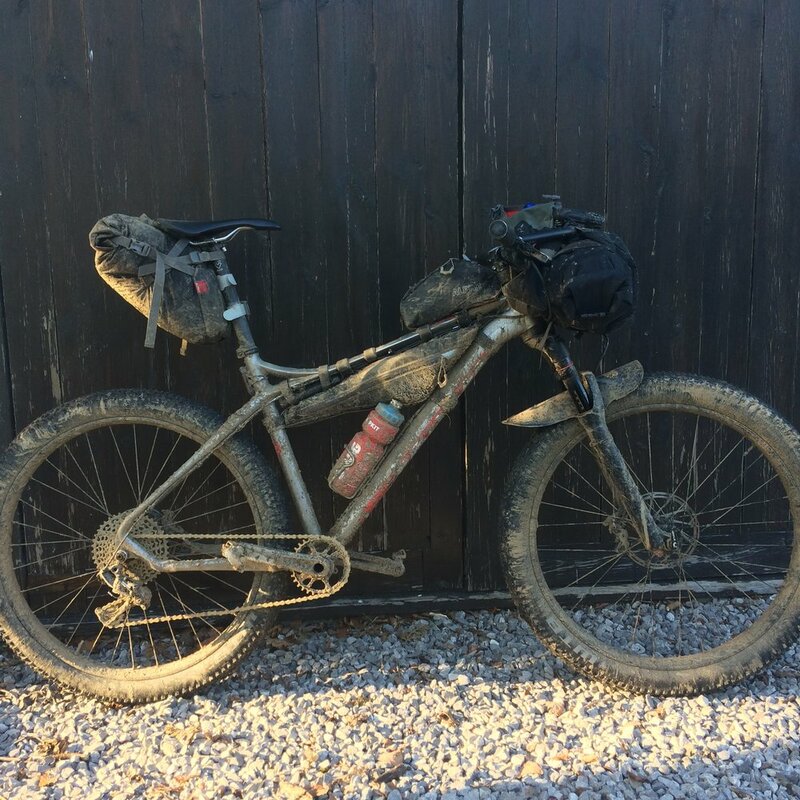 Probably one of the most versatile adventure cycle touring bikes on the planet. 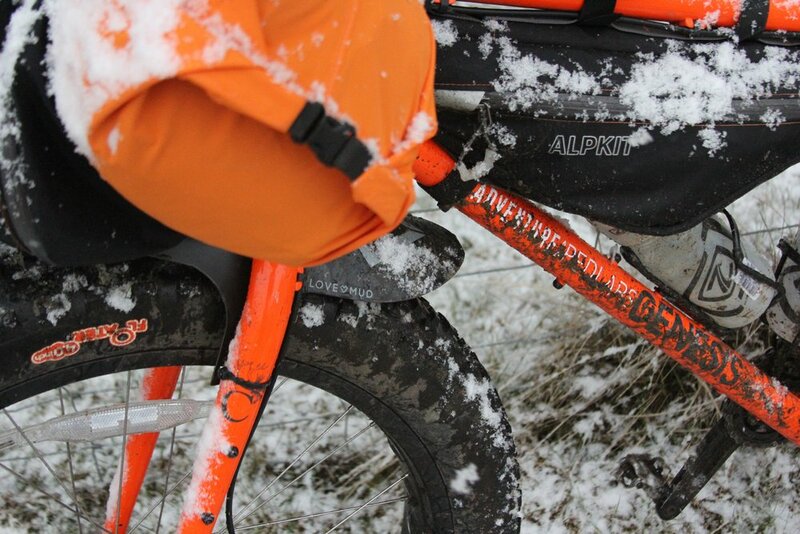 The 26” wheeled Troll can (literally) take you around the globe and back. 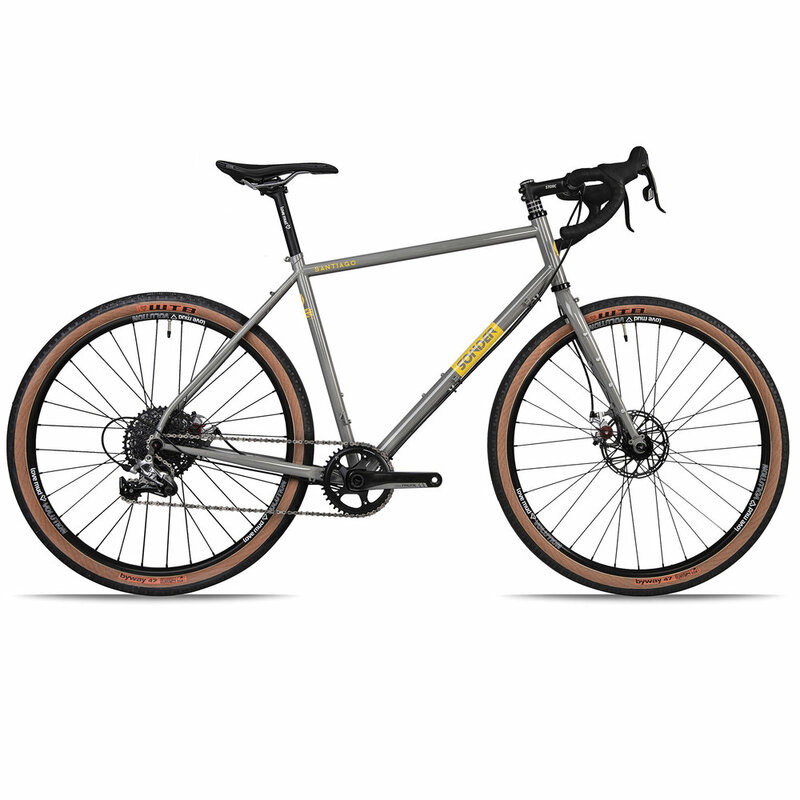 With plenty of tyre clearance, a sturdy steel frame and Rohloff hub gearing these bikes are virtually indestructible and great at carrying heavy loads over very long distances. A big yellow beast of a touring tandem! There’s not many better bikes for carrying two people and all of their luggage anywhere they want to go. With a massively sturdy steel frame and the super reliable Rohllof hub gears you’ll get ‘superstar’ status everywhere you pass through! 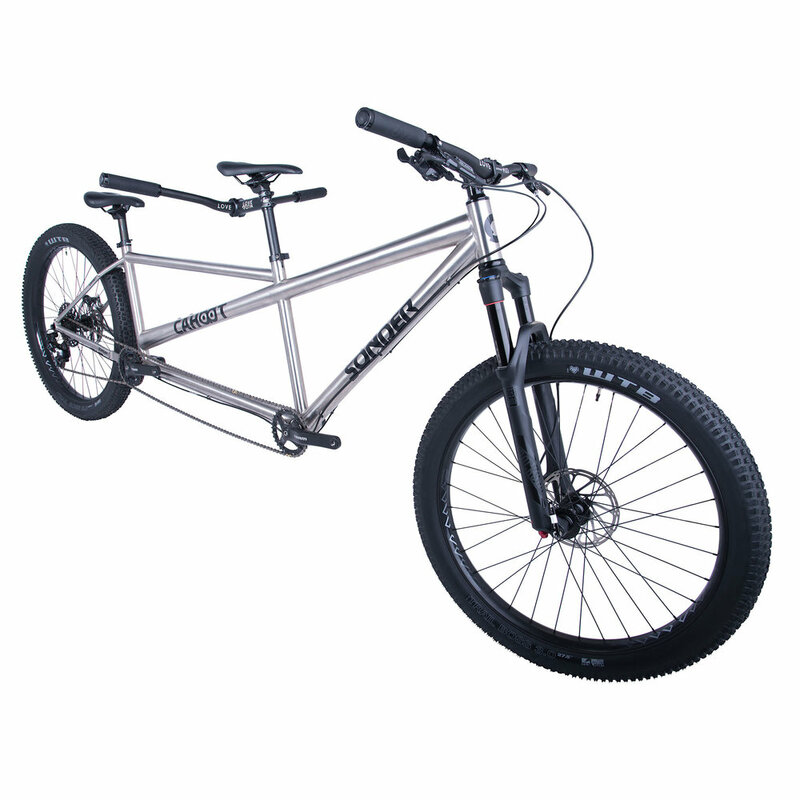 We love working closely with Sonder Bikes. Their varied range of well designed ‘fit-for-purpose’ bikes are truly great to ride have us covered for all manner of our own adventures. If you’re thinking of buying one yourself then why not let us help you test it out in the real world by arranging a demo on one of our adventures. Get in touch to let us know what you’re interested in.